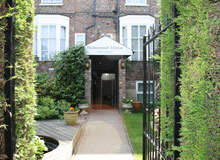 Built as two private houses in the middle of the 19th Century, and backing on to one of the prettiest squares in York, the two listed buildings have been lovingly restored to retain the ambience of a private home and provide peaceful, elegant rooms where the pressures of the day can be eased away. 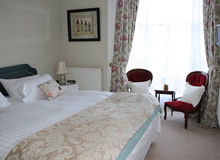 We also have high quality modern annex rooms situated to the rear of the property. If guests have a preference for the main house please let us know. We are a licensed premises.